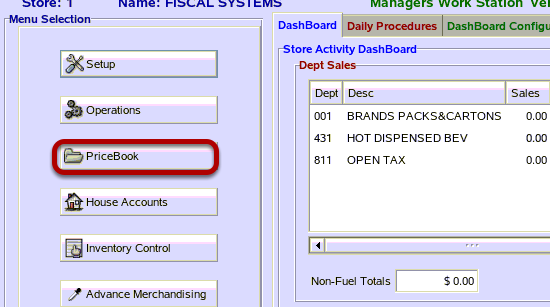 TravStar1 Point Of Sale SystemManager's Work Station Pricebook ManagementHow Do I Make Changes to Large Groups of Items? How Do I Make Changes to Large Groups of Items? This lesson will teach you how to make changes to large groups of items with Auto Field Change. Note: It is recommened that you always do a system backup before using the Auto Field Change module. For information on backing up the system please see How Do I Backup My Manager's Work Station. From the main menu, click on the "PriceBook" button. From the pricebook menu, click on the "Auto Field Change" button. 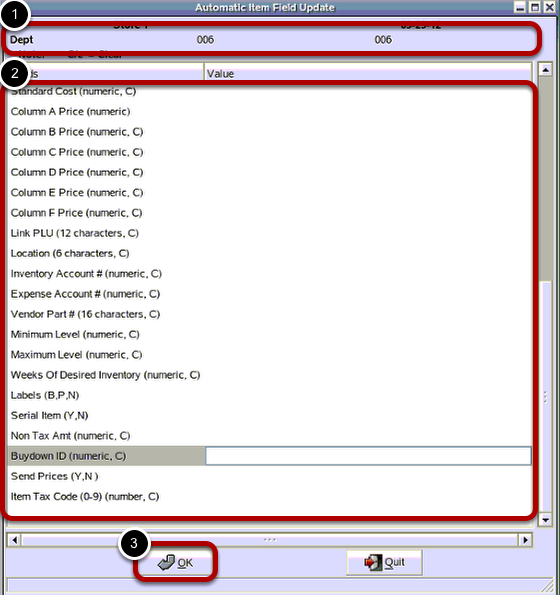 The Automatic Item Field Update screen is a useful tool for making changes to a large group of stock items. You will be required to choose how you want to sort the items you are editing. After you have clicked the preferred sorting method, click the "OK" button. For this example we will sorting by department 006. From the Begin department screen, type in the department you wish to make changes to. Then click the "OK" button. 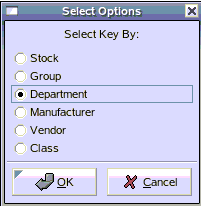 Note: Since in this example we are sorting by department, you will be prompted to enter in a beginning and ending department. 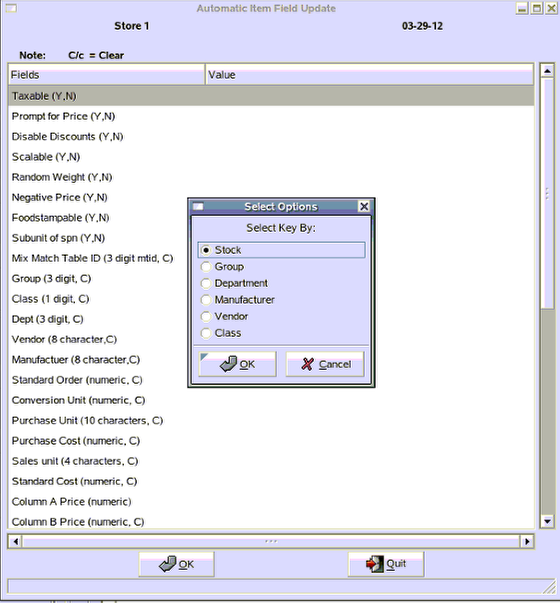 If you had chosen to sort by stock number, then you would be required to enter in a beginning and ending stock number. This goes for all sorting options. From the End department screen, type in the department you wish to end applying the mix match code to. Then click the "OK" button. (1) From the Automatic Item Field Update screen, confirm that you have selected the correct sorting method and beginning and ending values. (2) Click inside the Value column of any field you wish to change. Type in a new field value. Then press the enter key on your keyboard. Repeat for all fields you want to edit. (3) Click on the "OK" button. 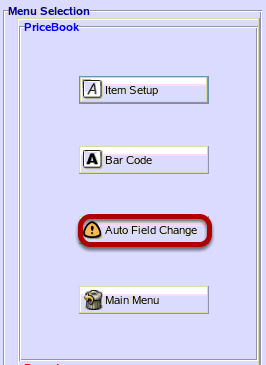 Note: For a complete list of all the Auto-Field Change Options please see What Are Auto-Field Change Fields? Click on the "Yes" button. Click on the "OK" button. Prev: How Do I Setup Packs and Cartons? Next: How Do I Run a Report to See Current Settings on a Group of Items?